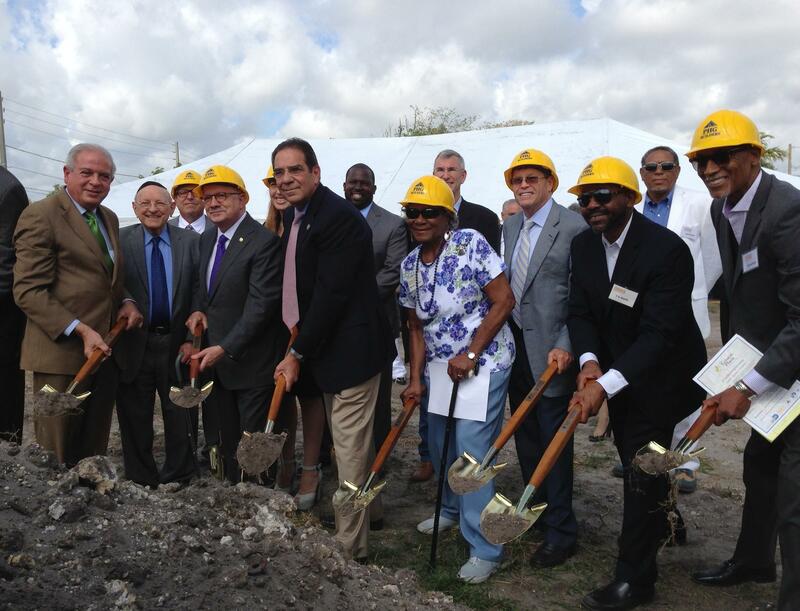 Gibson Plaza broke ground Monday with a big celebration. The timbre of the celebration was joyous, with speakers including Miami Mayor Tomas Regalado and County Commissioner Xavier Suárez, but some wished it hadn’t taken so long. “If you can’t respect the work that was done here by [West Grove’s] historic folks that have labored here… and they get gentrified out in the name of progress, I don’t think that’s progress,” said Jihad Rashid, president of Collaborative Development Corporation, one of the developers involved. He sees this housing development as a way to attain progress while bolstering those already living in the community. Construction begins immediately and the project is slated for completion midway through 2015. The North Miami Police Department, code enforcement teams and even parks and recreation are joining forces in what are being called “building inspection sweeps.” The city says going in together as a team helps streamline code enforcement. Three months ago, the roof of an apartment building in North Miami collapsed, displacing over 250 people from their homes. Though that was not the impetus for creating this coalition, city representatives said they learned from the accident. The city of Coral Gables has a short-term solution to the battle over a trolley garage it has built in West Coconut Grove. The solution is to move the garage to Coral Gables, the community the trolleys serve. The only problem is that the new facility won't be ready for another two to three years. Residents in the West Grove aren't too pleased with the solution. Williams Armbrister is a community activist fighting against the garage since the project was first announced. Can The Curtain Rise Again At Coconut Grove Playhouse? You didn’t even have to live in South Florida to know about the Coconut Grove Playhouse. It began life as a movie theater – the Player’s State Theater. And when it opened its doors on Jan. 3, 1927, it was part of the Paramount chain. Designed by architect Richard Kiehnel of Kiehnel and Elliott, it came back in a time when theaters were meant to be as grand as the productions they would show. Local realtors Irving J. Thomas and Fin L. Pierce were the builders. And another well known Grove name was the contractor – Albert Peacock.